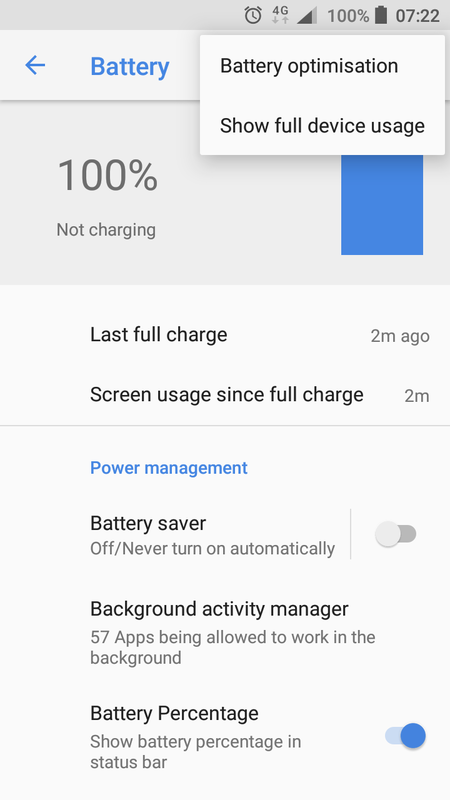 Beginning with Android 8.1, Nokia installs the PowerManager System App on most phones (including AndroidOne phones). 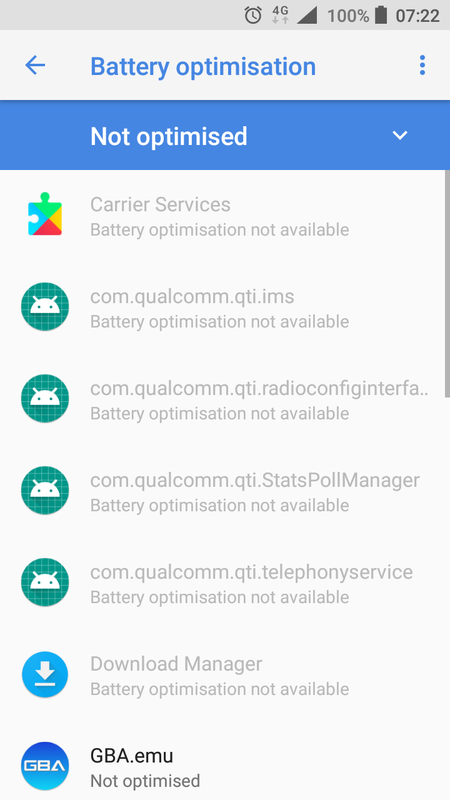 This system app, which cannot be uninstalled, regularly requests a so-called whitelist from a Nokia server. 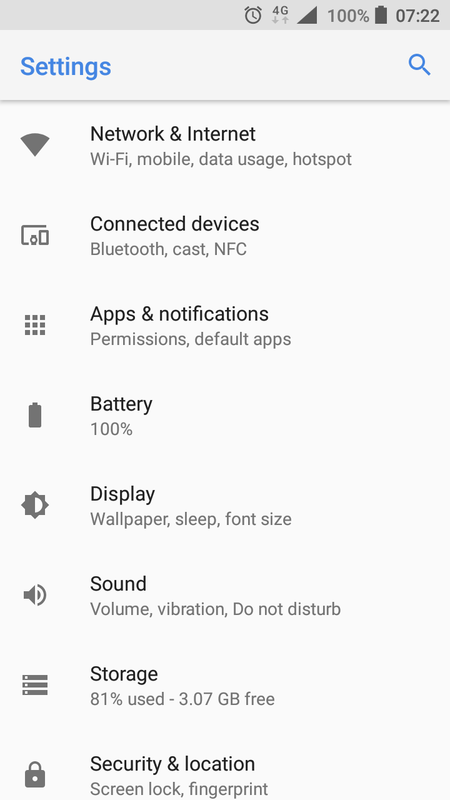 Apps that use GPS and thus consume more power than other apps will be automatically terminated by the PowerManager app about 30 minutes after display off, if they are not on the Nokia whitelist. Unfortunately, Sportractive is not on the Nokia whitelist. For this reason we no longer offer Sportractive for Nokia phones. 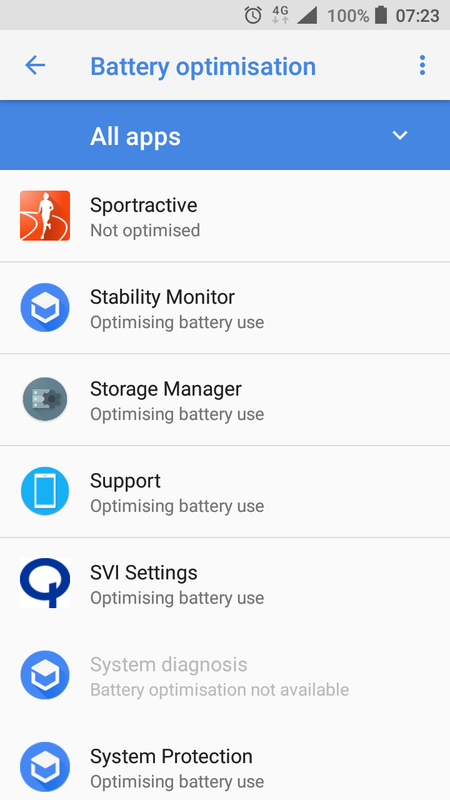 For those who already had Sportractive installed on a Nokia Android 8.0 phone and have received an update to Nokia Android 8.1 there is a "trick" to use Sportractive. If you install the Wake Lock PowerManager app and activate the Partial Wake Lock before using Sportractive, Sportractive will not be terminated. Please also contact Nokia Support and ask them to include Sportractive in the whitelist or not to install the PowerManager System App in the future. 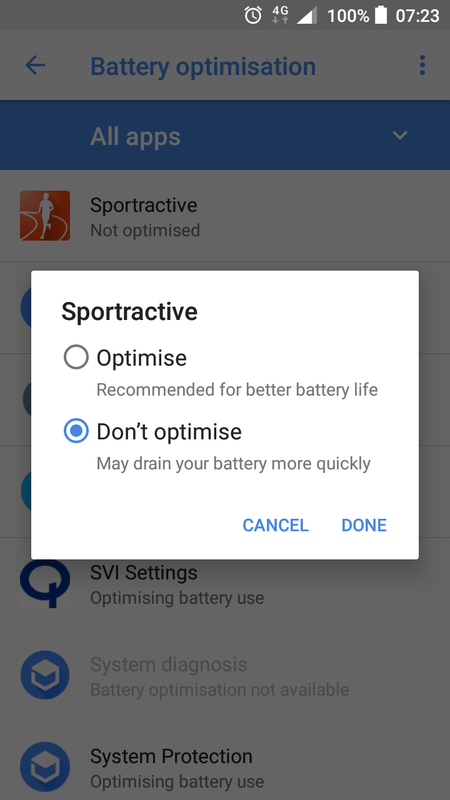 Select options menu (3 dots) "Battery optimisation"
Click on "Not optimised" and choose "All apps"